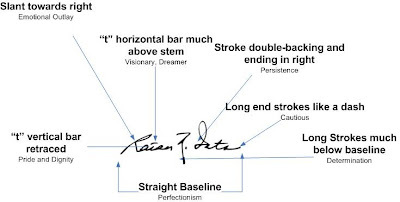 The World of Handwriting Analysis: What does Ratan Tata's Signature says about his personality ? 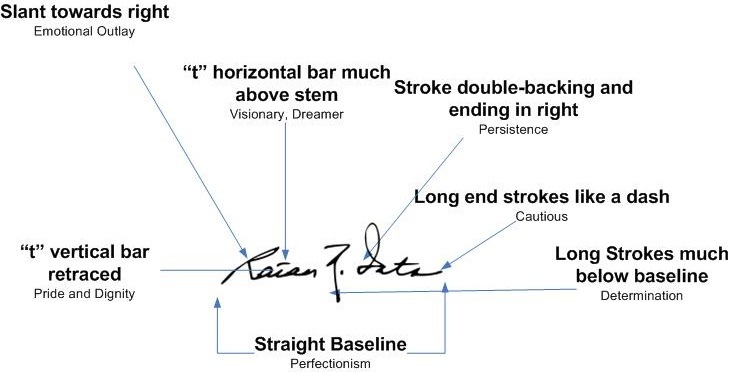 What does Ratan Tata's Signature says about his personality ? 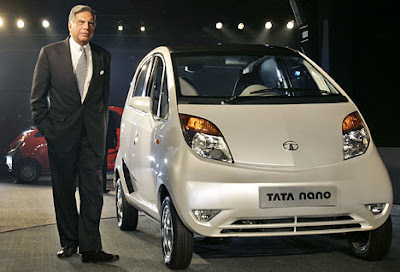 - Ratan Naval Tata is the present Chairman of the Tata Group. - In 1991, he was appointed group chairman of the Tata group. Nearly 20 years later, Ratan Tata has achieved almost everything on his 1991 agenda. At Rs 3.46 lakh crore (Rs 3.46 trillion), Tata Group revenue is 40 times the 1991 level, while net profit has gone up four times. - He has an honorary citizenship of Singapore. - He is an honorary economic advisor to Hangzhou city in the Zhejiang province of China. - In 1962, He did his B.S in architecture and got a job in IBM, which he turned down on the advice of legendary JRD Tata. He was sent to Jamshedpur to work on the shop floor at Tata Steel. I found this Sample from Ratan Tata's Wikipedia page. Because of this reason, i would like to believe that this is authentic. I have no information on under what circumstances this Signature was made, which might have helped to understand the context better. Nevertheless, there is still a lot that can be extracted from this sample to know a man who is no less than a Legend of Business World. Ratan Tata is a Visionary . Not that world knew of already, but what i am saying is that his Signature clearly reveals that. He is a Dreamer and such people can not only envision future but also think far beyond in the future than anyone else's imagination. His life has many such instances which reflects this side of him. He has this rare ability of thinking big and at the same time not lose the sight of what’s needed at the grassroots levels. This explains why the Tata Group pick up the luxurious Pierre Hotel in New York, while Tata is also driving the launch of the budget Ginger hotels in India. He was no taken all that seriously when he first coined the concept of a "Rupees One Lakh" car (which eventually came to known as "Tata Nano"). He had to face a lot of opposition to even sell that dream to his own organization. Finally, he persisted. Even the dream of rolling out Tata Indica was a sort of first in the market which was dominated by Maruti in the Small car segment. Its said that People literally wrote him off when Tata brought the idea of building a passenger car with "the Zen's size, the Ambassador's internal dimensions and the price of a Maruti 800". The result is now for everyone to see with Tata Indica being so successful on Indian roads (sold more than a million Passenger cars since 1998 debut). Tata's first global venture, the purchase of Tetley in 2000, had begun five years earlier when Ratan Tata made a $318 million bid for the tea company. That didn't work out, but Ratan didn't lose heart and kept an eye on the company's activities. The deal was finally clinched at $430 million. Sheer perseverance may have made that deal come true. Ratan Tata has Pride and Dignity in his personality. Pride is a spur to achievement. Pride says "You must think well of me too". At the start of his career, Tata faced opposition from several lot of peers who thought that he was best suited for the job of the Chairman of Tata group. Of course, his persistence and determination helped but it was his Pride that also played a big role in overcoming opposition and move ahead with his head taller. The Pride aspect shows in some of his business decisions as well. The Corus deal is proof of the kind of goodwill the Tata Group has created for itself across the world, not just within the country. Unlike the Mittal Steel bid for Arcelor, which created a huge furore, the Tata faced little opposition. Although the Anglo-Dutch company had several plants in the United Kingdom, there was little attempt to stop the deal by either political parties or trade unions. The Corus management was happy to support the deal, placing its faith in the group's reassurance that there would be no layoffs and that pension shortfalls would be taken care off. Ratan Tata is quite an Emotional Person , with a broad range of emotions from extreme highs to lows. He is a person with High Emotional Intensity and feels situations Indepth, quite Intensely. He can very easily related to Other people's problems. Some of his business deals reflect this aspect of his personality. Regarding owning LandRover (Jaguar) brand, Ratan's father Naval was one of five people in India who took delivery of a new Jaguar XK120 in the late 1940s. "I remember the XK with great nostalgia," Tata commented to a Jaguar team. "I particularly remember the instruments on the dashboard and how stylish they looked." Hello my dear friends,,Ratan Tata is one of the most live and legend powerful Businessman of Our Bharat,,,,Quality and affordability is the aim of the Tata's Group..